Finley T. Harckham - Business Interruption Insurance Attorney | Anderson Kill P.C. Finley regularly represents and advises corporate policyholders and other entities in insurance coverage matters. He has successfully litigated, arbitrated and settled hundreds of complex coverage claims. His areas of particular focus include property loss, environmental, business interruption, directors and officers liability, construction, professional liability, aviation liability, cyber and general liability claims. Finley also founded two Anderson Kill non-legal subsidiaries: Anderson Kill Insurance Services, LLC, and Anderson Kill Loss Advisors, LLC. Those companies provide insurance consulting and property and business interruption loss quantification and settlement services. Finley also has extensive experience in the field of international arbitration. His arbitration clients include government contractors, consumer products companies and manufacturers which Anderson Kill has represented in a wide range of disputes involving, among other things, service contracts, the purchase and sale of components, raw materials and products, and licensing agreements. He has successfully prosecuted and defended arbitrations in European countries and the United States under the London Arbitration Act, and the AAA, ICC and UNCITRAL arbitration rules. 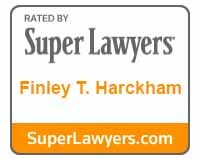 Since 2009, Finley has been recognized by Super Lawyers for Insurance Coverage. In addition, since 2012, he has been recognized by Chambers USA for policyholder insurance dispute resolution in New York and has been described as "a tenacious litigator and a real gentleman" and "reasonable, confident and as adept at taking a hard line as he is at finding workable compromises." Legal 500 USA also recognized Finley for insurance advice to policyholders and has described him as being a "leading practitioner in the field of insurance and reinsurance for natural disasters." Finley is a member of the firm's Hospitality Industry Practice Group. Insurance Broker Liability: What Constitutes a ‘Special Relationship’? Water, Water Everywhere ... But is it Covered? You've Been Served . . . Can You Recover Your Subpoena Compliance Costs Through Your Directors and Officers Liability Insurance Policy? Important Issues Concerning Insurance Claims for Exposures in the U.S.